I lead photo tours & photography workshops focused on the natural world. Click on the “Join Me” tab above to see what’s coming up. Interested in setting up money-making wildlife photography operations? I do consultations on land preparation to help landowners attract nature/wildlife nature photographers to your acreage. 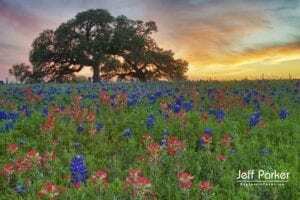 Nature photography is quickly becoming another serious revenue stream for today’s landowners. I often shoot on assignment. In addition, my stock of images is always growing (in fact, most are not on my site – I can’t seem to keep up). Did One of my Gallery IMAGES Catch Your Fancy? All photos are available as prints, canvas wraps, or metal prints…or whatever your heart desires. Ordering is easy. 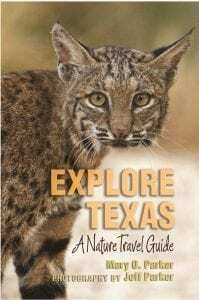 The award-winning book, “Explore Texas — A Nature Travel Guide” (Texas A&M University Press; Spring 2016), written by my wife, Mary O. Parker, features over 250 of my color images. Publishers’ Weekly included it in their roundup of the best travel books of 2016.